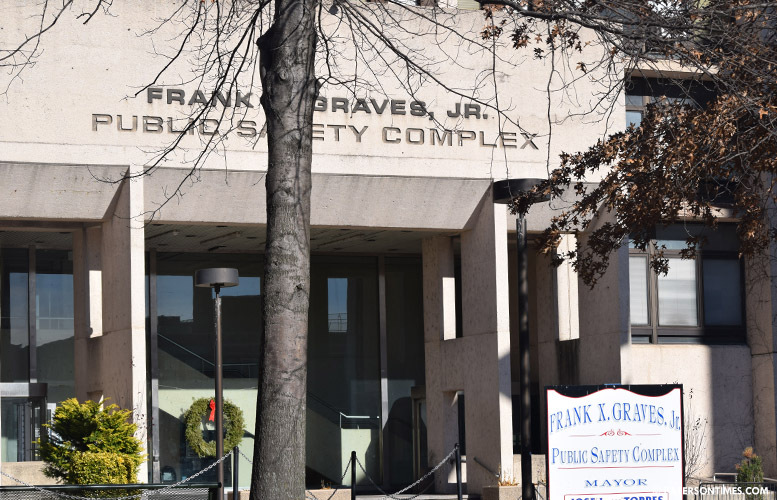 After years of delay and many complaints from employees, the city has awarded a $1.82 million contract to a firm to upgrade the heating, ventilation, and air conditioning (HVAC) system at the Frank X. Graves Public Safety Complex. Council members awarded the contract to Johnson Controls of Edison on Tuesday night. Public works director William “Billy” Rodriguez and municipal facilities superintendent Luis Guzman said the upgrades will address workplace violations in the building. “This system has been there for 40 something years. It’s time to replace,” said Guzman. He said just in the past weeks there were four broken pipes due to lack of proper heating at the building on Broadway. Guzman said the new system will improve air quality in the building. Municipal officials said the city is under a court order to address the inadequate heating and cooling situation at the public safety complex. In January, some parts of the Frank X. Graves Public Safety building was without adequate heat. A pipe burst in the building, forcing the city to let some employees leave work early. The city borrowed funds in Mar. 2018 to comply with a judge’s order. Council members were asked to approve borrowing funds in Sept. 2018, but delayed approving the measure for six months. “These facilities are so out of date. The discussion that I thought would be more advantageous would be talking about putting up new facilities,” said Michael Jackson, 1st Ward councilman, who went on a tour of government buildings. Jackson, sole vote against the measure, suggested it would be more cost effective to build a new public safety complex than to continue to make repairs. The city will need to identify state and federal grant sources to put up a new building. In 2015, the city opened a new firehouse on McBride Avenue. The building cost $7.9 million, $4.5 million came from president Barack Obama’s stimulus fund created in the aftermath of the Great Recession.